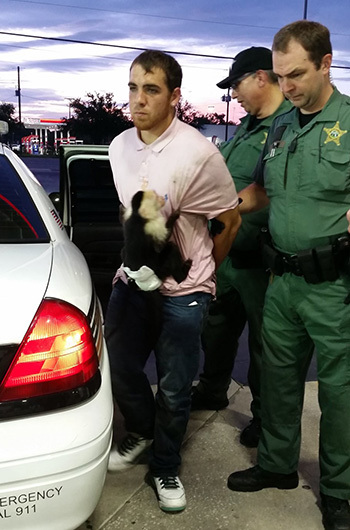 JUNE 8--A man arrested this morning for auto theft had a small diaper-clad monkey clinging to his chest when Florida cops apprehended him after he drove the hot wheels into a ditch. Investigators allege that Cody Blake Hession, 23, took a vehicle from the driveway of a St. Petersburg residence early this morning (keys to the unlocked auto were on the floorboard). 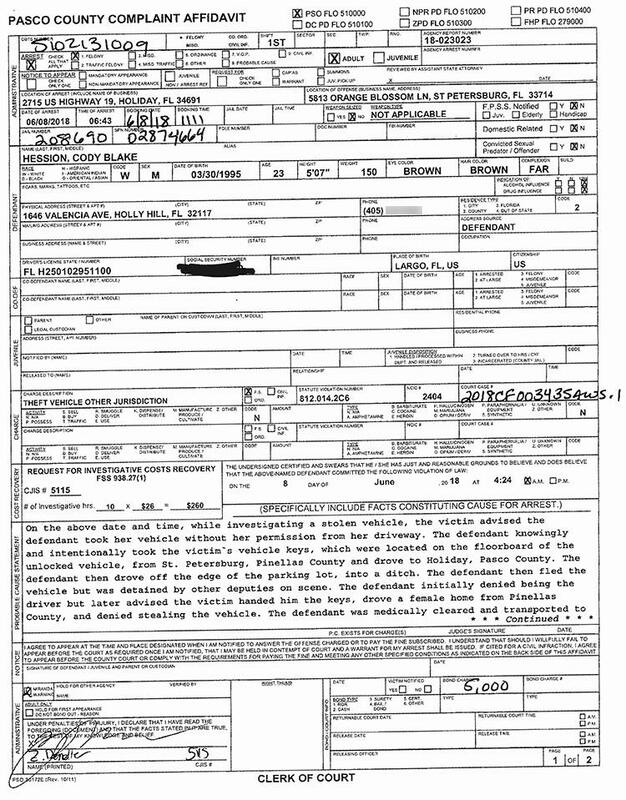 Hession then drove the car about 35 miles to Holiday, a Tampa-St. Pete suburb, where he “drove off the edge of a parking lot, into a ditch,” according to a complaint affidavit. 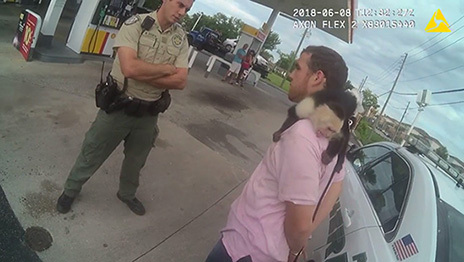 When Pasco County Sheriff’s Office deputies detained Hession, who had fled the vehicle, there was a leashed Capuchin monkey attached to Hession’s pink polo shirt. Hession told deputies that he had obtained the male monkey, named Monk, years ago from a breeder in South Carolina, where he previously resided. 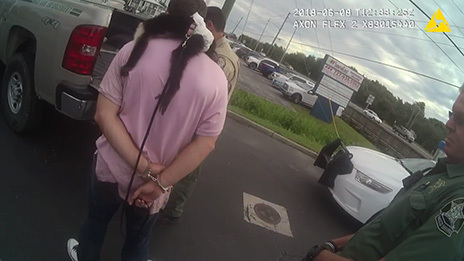 Since Hession did not have an exotic animal permit, the monkey was placed in the custody of the Florida Fish and Wildlife Conservation Commission. 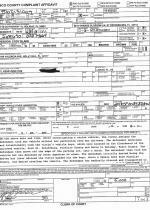 The animal was subsequently transported to the Suncoast Primate Sanctuary. 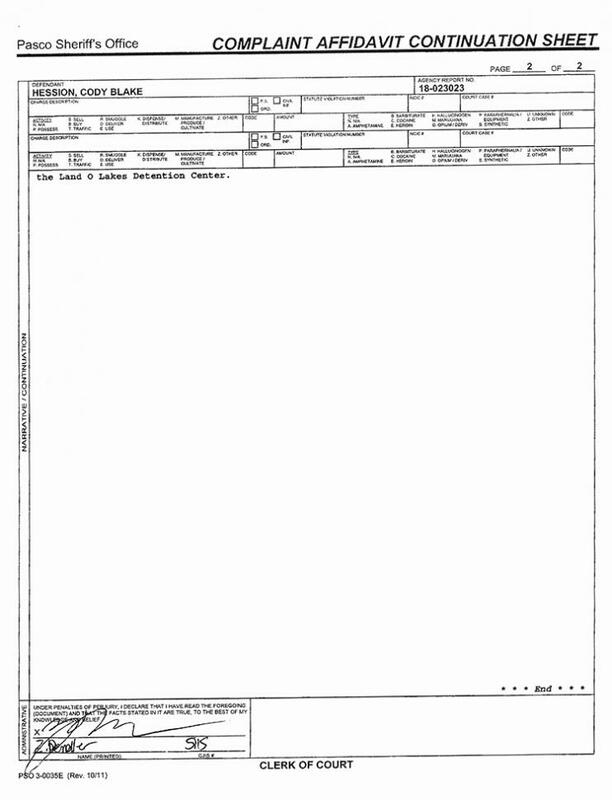 At one point, a deputy uncuffed Hession so that he could sign paperwork and “say your goodbyes” to the monkey, who was then placed in a pet carrier (but not before Hession requested a kiss on the lips from Monk). 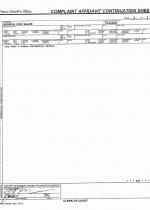 One deputy’s body worn camera recorded the interaction between Hession and his monkey.